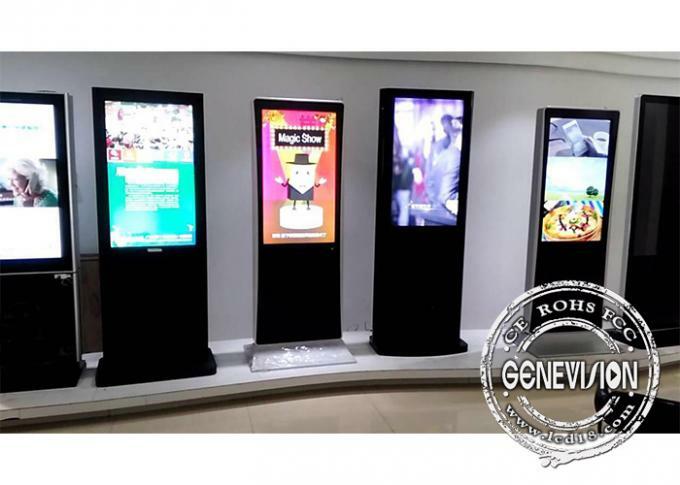 In 2018, big screen G+G capcacitive touch screen is popular and at cheaper price. In a surface capacitive touch screen monitor, a transparent electrode layer is placed on top of a glass panel, and covered by a protective cover. When an exposed finger touches the monitor screen, it reacts to the static electrical capcacity of the human body, some of the electrical charge transfers from the screen to the user. This decrease in capacitance is detected by sensors located at the four corners of the screen, allowing the controller to determine the touch point. Capacitive touch screens can only be activated by the touch of human skin or stylus holiding an electrical charge. 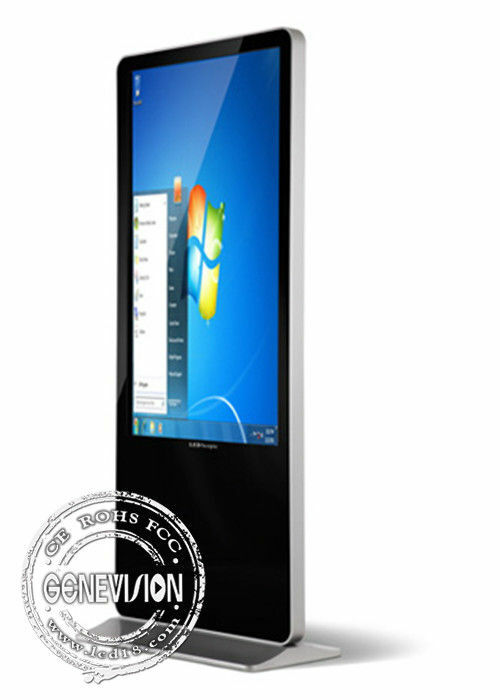 Genevision has full range of PCAP touch screen LCD advertising kiosk from 43inch to 65inch.